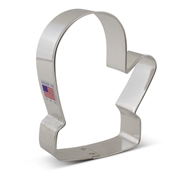 Celebrate the winter season with our classic 4" Snowman Cookie Cutter complete with top hat. 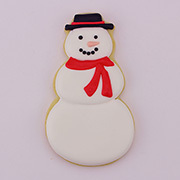 Make delicious Snowman Cookies with our cutter or use it as a base for your cookie decorating, fondant cutting, holiday decorating or craft project. 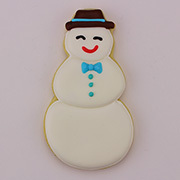 Jan 5, 2019 | By Suzanne L.
I used this in my Christmas cookie assortment this year and these turned out great! 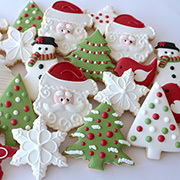 The design makes them easy to decorate and everyone loved the snowmen. 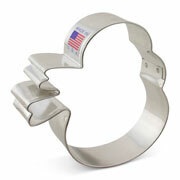 Good quality cutter that's easy to use. These are so easy to use and amazing. They cut so easy and they are made in the USA. THANK YOU! 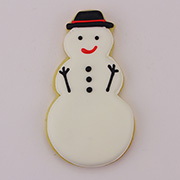 Snowman cookie cutter is a great size and great quality. Cutout cookies turned out great!